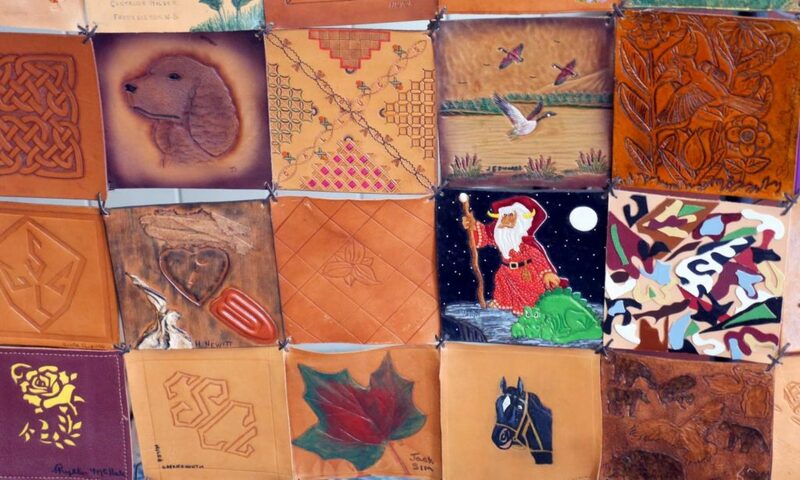 In preparation for the CSCL 67th Annual Convention – should you wish to have any of your leather work judged for the prizes in CSCL Awards Categories, please bring your articles to your guild to make sure your items get on your Guild Table for presentation and judging on Friday May 5th at 5 pm. 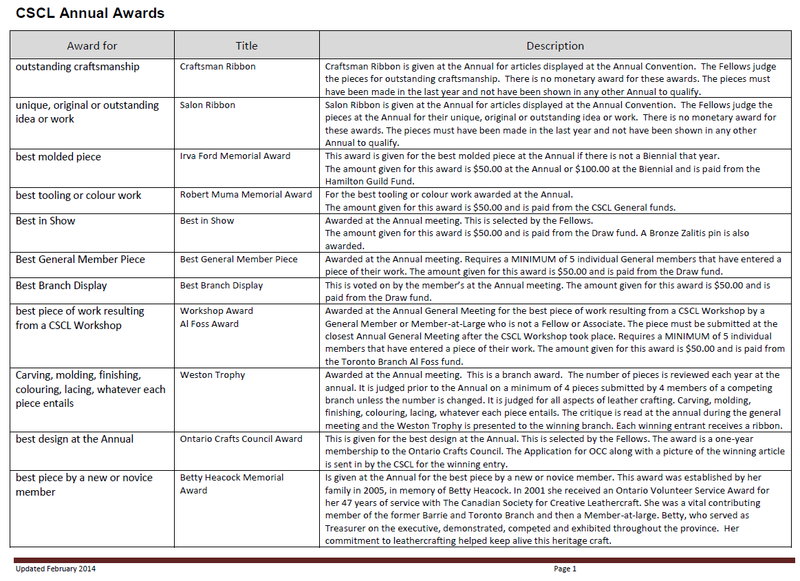 Use the CSCL Awards Categories document to figure out which category to submit to and fill-out the judging cards. A project list will be created listing everyone’s work and award category to which they are applying. For all who are new to CSCL, this is a great opportunity to see and plan for the next year when the Mississauga Guild will be hosting this meeting in 2018.